« Is The Swimming NZ President About To Be Dumped? The saddest and funniest thing I’ve seen in sport recently is the Sport NZ promotion of a survey into sporting integrity. No one at Sport NZ seems to understand that Sport NZ is the integrity problem. There is no point in Sport NZ examining the ethics of sport when the problems of integrity are caused by them. Miskimmin and his mates in NSOs and HPSNZ are the problem. 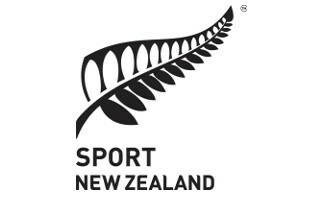 They have created the environment where New Zealand currently has investigations into half a dozen sports. The blame for the chaos lies inside Sport NZ, squarely at the door of Peter Miskimmin. This survey is simply an effort to distract attention; to force our focus away from Sport NZ and onto everyone else. In particular Miskimmin is desperate to force our concentration downwards to the grass roots of New Zealand sport. The last thing he wants is for his role in the current chaos to become the central subject of investigation. However, as is often the case, corruption begins at the top. The top creates the environment that causes corruption to flourish. In New Zealand that has certainly been the case. Sadly, it is probably true that Miskimmin will succeed in deflecting attention away from himself and will use the survey to further his personal empire. That in itself is corruption. But let’s try our best to make his plan more difficult. Let’s try and make him more honest. Let’s consider his integrity. Before completing Miskimmin’s survey Sport NZ encourage us to read the “Sport Integrity Review Discussion Document”. That is not as easy as it sounds. There are 111 pages of Miskimmin propaganda. It is not possible to discuss every manipulation included to distract and bias participants about to complete the survey. Instead I will discuss only one of the document’s many distortions. 1. As staff are not paid, sport organisations often focus on the core business of delivering sport. Allocating time to other matters, including integrity matters, is difficult when volunteer sports officials or administrators are balancing day jobs, family commitments and other obligations. 2. Given the voluntary nature of some positions, it may be difficult for sport organisations to attract volunteers with appropriate skills and experience. 3. While volunteers do not earn money, they may earn trust and gratitude from the club. Over time, this can manifest in the form of decreased scrutiny which can potentially lead to sport integrity breaches. Volunteers can feel a sense of entitlement which can manifest as a belief that they deserve benefits. 4. Legislation pertaining to “employees” may not always be applicable to volunteers in sport organisations. This means that protections and processes available to employees may not be available to volunteers or members of a sport organisation. I have seldom been as incensed as I am about the implications of that claim. When I think of the army of volunteers who managed the affairs of Swimming New Zealand (SNZ) honestly and long before Miskimmin came to power, this slur on them is disgusting. Women like Beth Meade, Norma Williams and Joe Draisey and men like Noel Smith, Ron Shakespeare and Artie Shaw ran the affairs of swimming with more integrity and honesty than the overpaid fat-cats we have today. But it is not only those who are no longer here that are being insulted by Miskimmin’s implied accusations. Just consider where Counties-Manukau Swimming would be without Jeannie and Jeff Sibun. Miskimmin would probably consider them to be a bit old-fashioned. But remember this, they run an honest and caring ship that includes several of New Zealand’s best swimmers. And there are a hundred like the Sibuns who do not deserve the insults contained in Miskimmin’s Review. Those who have power, authority and the ability to influence also play an important role in setting the culture of the organisation. Well, Peter Miskimmin, no one in New Zealand sport has more “power, authority and ability to influence” than you. As far as I can tell that means you are responsible for “setting the culture of the organisation”. Its failings are down to you. The buck stops with you. But I guess it is not enough to say that Miskimmin is responsible for the shortcomings in New Zealand sport. If New Zealand sport is less honest and, in swimming, less successful than when the men and women I have mentioned were running the show, why is that the case? The reason is two words, both down to Miskimmin – centralisation and power. Almost everyone has heard the Lord Acton expression, “Power tends to corrupt, and absolute power corrupts absolutely”. What Miskimmin has done is pander to that base instinct. In swimming, Miskimmin used the 2012 Constitutional change to strip SNZ of its democratic institutions, he centralised power in a largely appointed Board, he encouraged the appointment of highly paid bureaucrats like himself and he arranged for New Zealand’s best swimmers to be herded into a SNZ swim school in Auckland. In swimming Miskimmin concentrated power into the hands of overpaid bureaucrats. To a greater or lesser extent he has done the same thing in dozens of other sports. And the price, as Lord Acton predicted, is absolute corruption. What else would you call Miskimmin’s pay of $400,000 and Johns $150,000 compared to Valerie Adams $60,000 for an Olympic Gold Medal? What else would you call Johns and Francis flying around the world for free when Hunter and Godwin have to pay for themselves? What else would you call me being denied access to the report on the investigation into my coaching? The list of Miskimmin sourced corruption is very long. So what is the answer? That’s easy. Sack Miskimmin and bring back democracy. After the dark clouds of Miskimmin’s autocratic rule have passed there will be a cleansing quality in the smell of fresh, democratic air. I can’t wait. This entry was posted on Wednesday, October 31st, 2018 at 6:15 pm and is filed under Training . You can follow any responses to this entry through the RSS 2.0 feed. Both comments and pings are currently closed.